KOKILA offers a complete range of power and distribution transformers designed to grant the reliability, durability, and efficiency required in utility, industrial, and commercial applications. 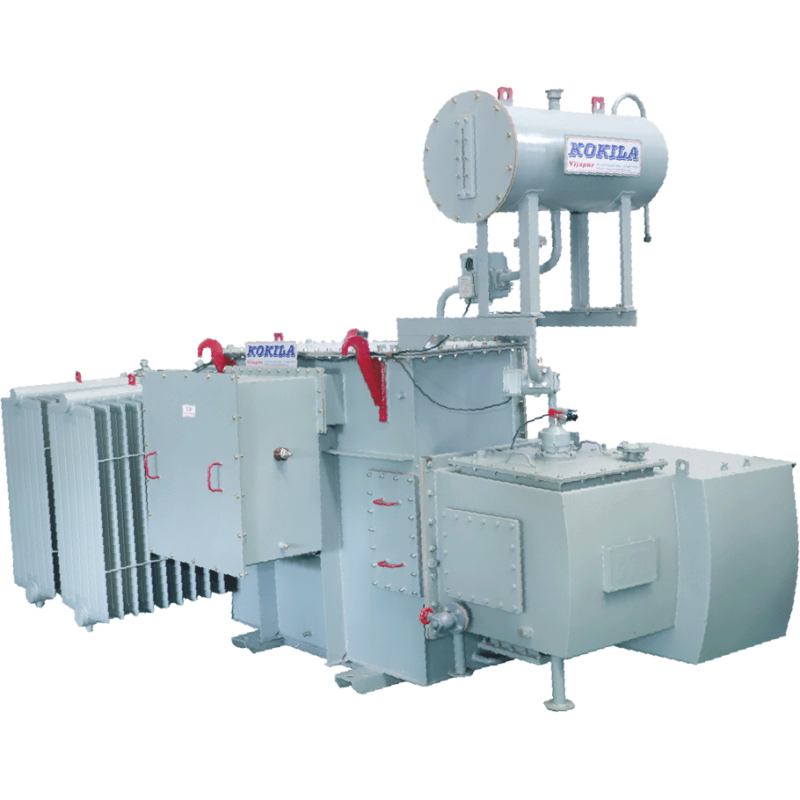 KOKILA’s Oil filled transformers are manufactured in accordance with the most demanding industry and international standards. Transformers can be used for indoor or outdoor applications and can be provided with off-load and on-load tap changers. We manufacture all types of transformers, which are customized as per customers’ specifications. Our company offers you a wide range of optimum designed transformers with high efficiency and at affordable prices. The transformers are available in a variety of capacities ranging from KVA to MVA. Oil cooled transformers are housed in MS Tank and provided with adequate pressed steel radiators to ensure proper heat dissipation. Oil cooled units are available with standard accessories viz. oil level indicator, drain plug/drain valve, earth terminals, unidirectional CI wheels, Oil fill hole and terminal covers. This entry was posted in Transformers and tagged Distribution Transformers, ketransformers, Kokila Electrical Transformers, Kokila Electricals, Kokila Transformers, Transformers.